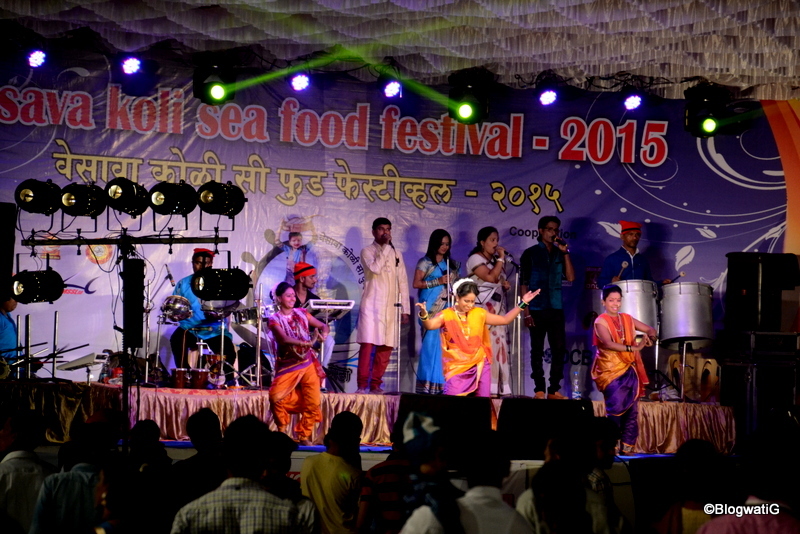 Missed the Versova Koli Sea Food Festival yet again? Fear not, for I have a visual treat planned for you. And in fact, in anticipation of all the traffic Google is gonna throw my way, next year, same time, I have the answers to all your questions. Well, most. Yes, I can be organized at times, too. 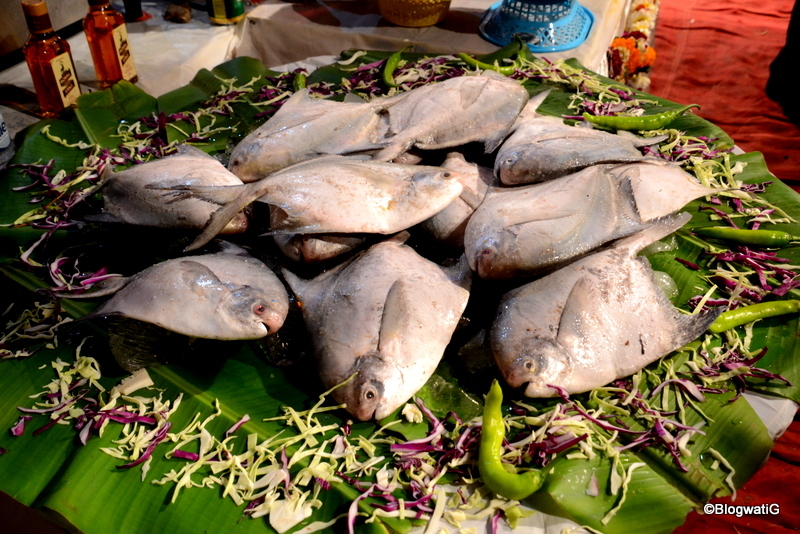 What is this Koli sea food festival? 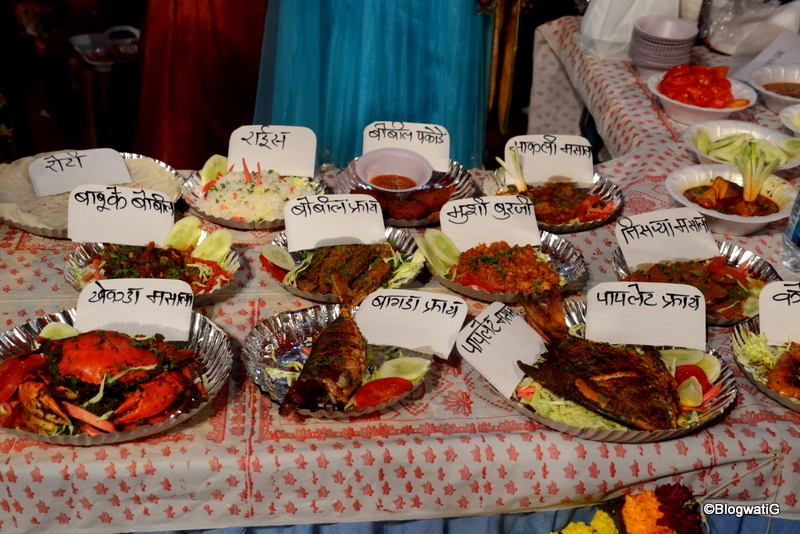 An annually held Koli sea food festival (duh) in Versova that has been around for 9 glorious years. It is a gastronomic delight that is spread across a good January weekend, a must visit for foodies, especially if you know your clams from your mussels. No, you did not……Take that back! Oh, well, ignoramus, Kolis are the good ol’ fisher-folk of Mumbai, one of the oldest inhabitants of this island city. 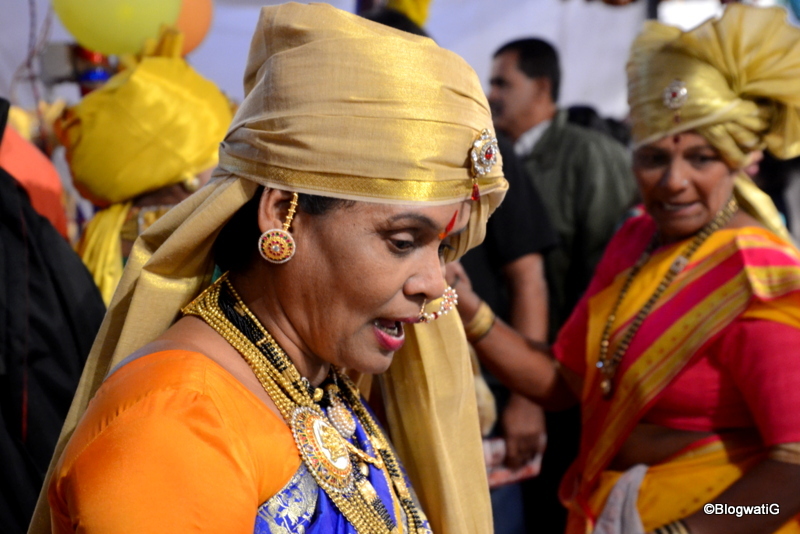 In fact, the name ‘Mumbai’ comes from the Koli Goddess Mumbadevi. Capiche? Ok, got that. Now where exactly does this happen in Versova? Ah, good question. Well, you see this actually happens in Yari Road! Don’t panic. Versova and Yari Road are neighbours. So, just as Versova village begins, there is this huge playground adjoining St. Anthony’s school, overlooking Church of Our Lady of Health, that’s where you need to go. Excellent. Now can we have the co-ordinates to travel, like really? So, assuming you are coming by road……what? You can come by sea, too, via Madh Jetty. Just saying. Ok, ok, getting to the directions. You need to head to Yari Road, from your destination. 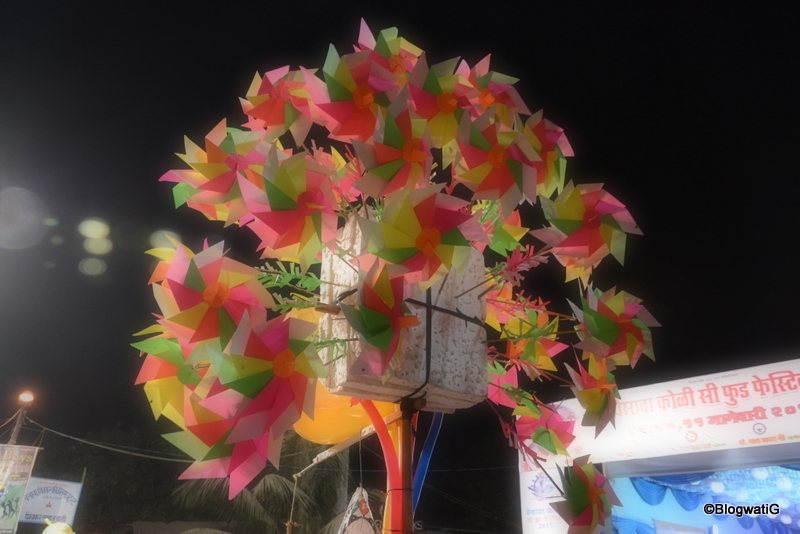 If you say Versova, you will land in the village. The closest railway station is Andheri. The last metro station is Seven Bungalows. Keep heading North on the singular Seven Bungalows road. When you reach the fag-end, Ganga Bhavan is the last building you will see on your left. Take the right from this signal, then immediate left. You are now in Yari Road. If you pass Vimala Convent and Clara’s College of Commerce on your left, you are doing fine. If not, get your GPS to find these landmarks, then read this post further. If it still does not help, just ask someone the old-fashioned way! You will then come across a mandir masjid diagonally opposite each other. You might also see the ‘welcome gate’ out there. Congrats, you’ve almost made it. Follow your nose straight till the road forks into a three-way. Take the middle path which has ‘God’s Gift’ tower on your left and ‘Vrunda’s residency’ on your right. The music and the lights should serve as a good indicator, too. At the end of this lane is your final destination. Ta dah! Now that we are here, what can we expect? 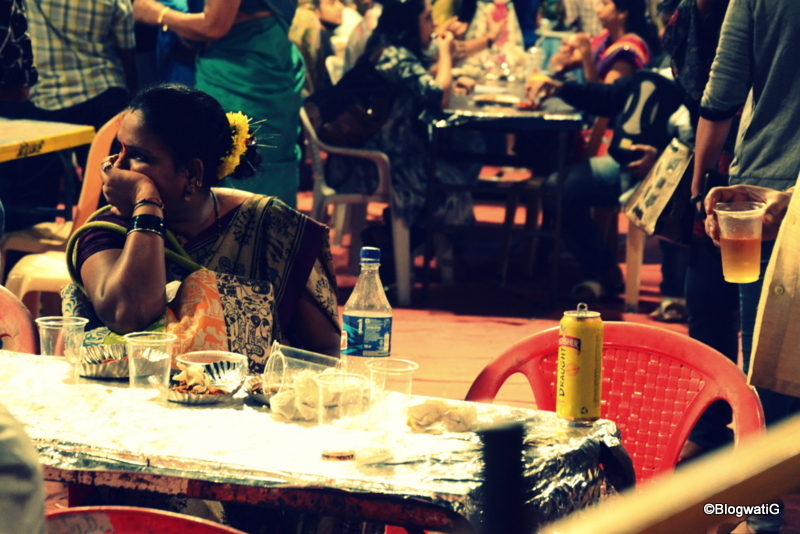 Look around, browse through the many stalls, pick a place to sit and relish the delicacies. 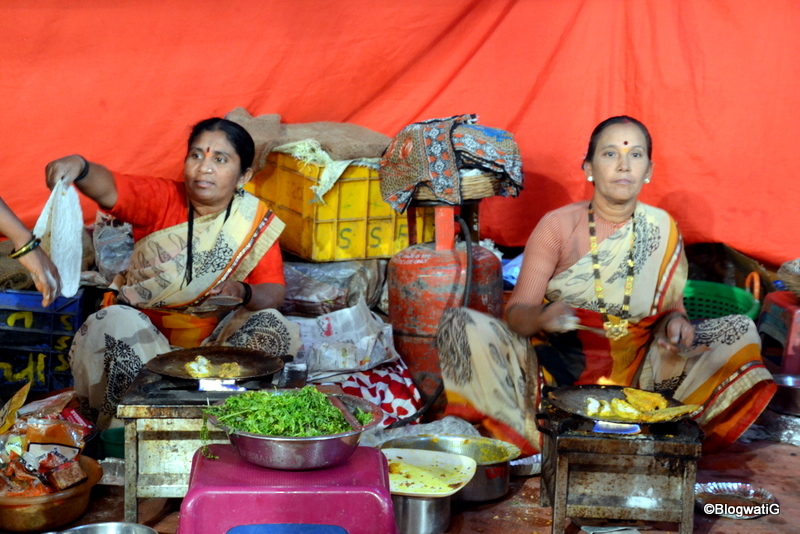 No fine dining masterchefs out here, but our very own Koli ladies who cook up a storm right then and there. And all that in their finery, if you please. Take your pick from the fried fish to prawn cutlets, pickled shrimps to masala crabs, and lobster curry to fish biryani, to name a few. 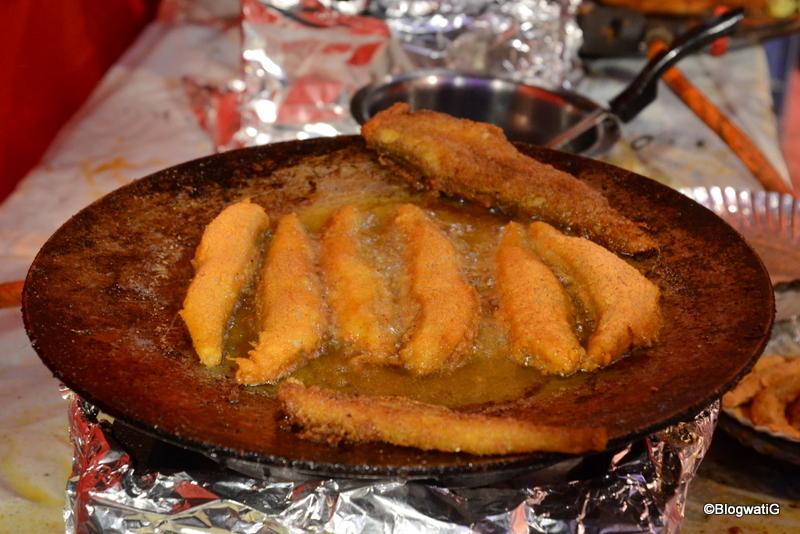 My personal favourite would be the fried Bombay Ducks (Bombil) teamed with rice bhakris and pomfret curry. Yum! 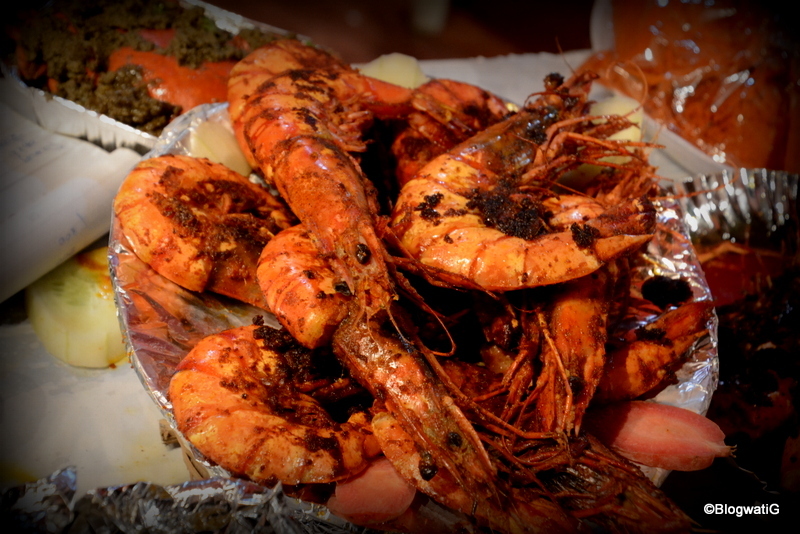 The Bamboo Bombil and the Prawn pizza is a delicacy you don’t want to miss. 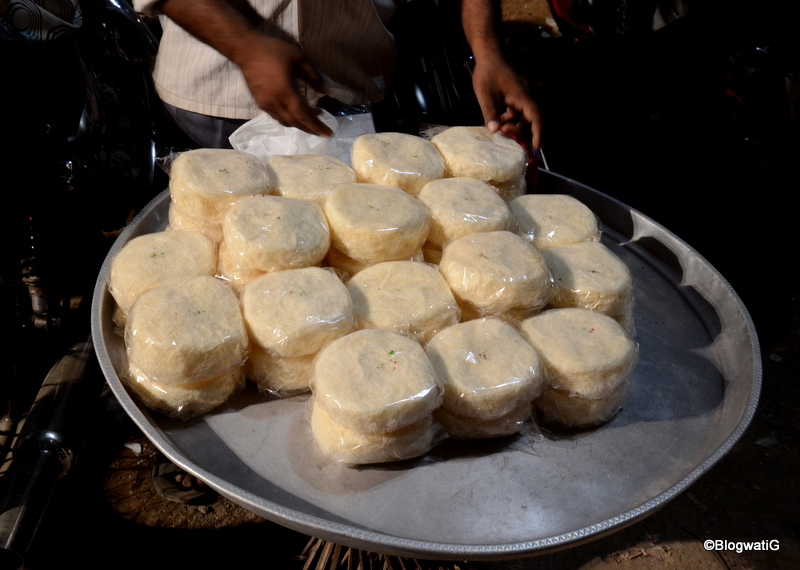 Also, for the ones with a sweet tooth you have stuffed bananas – a must try. 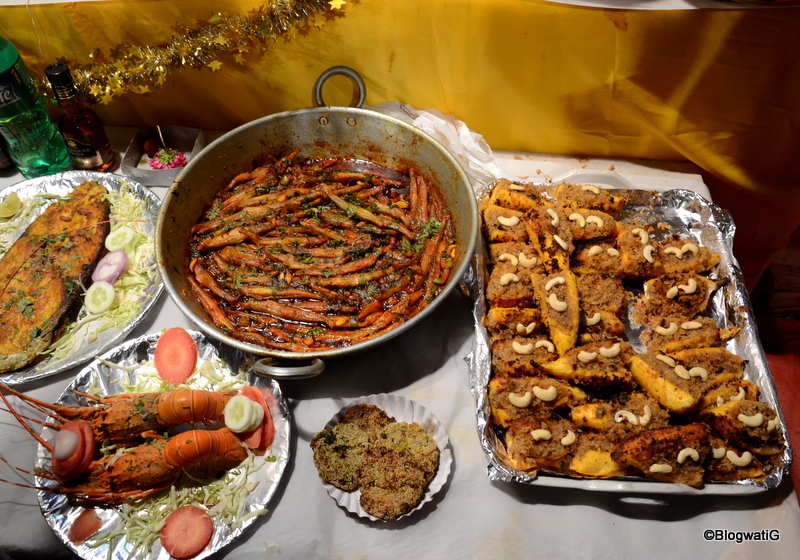 The Versova Koli Sea Food festival will leave you satiated, for sure. Good food is almost always accompanied with drinks, beer in this case. Though how did they manage to get the permission with a temple, church and school being within 100 meters of the event remains a mystery. 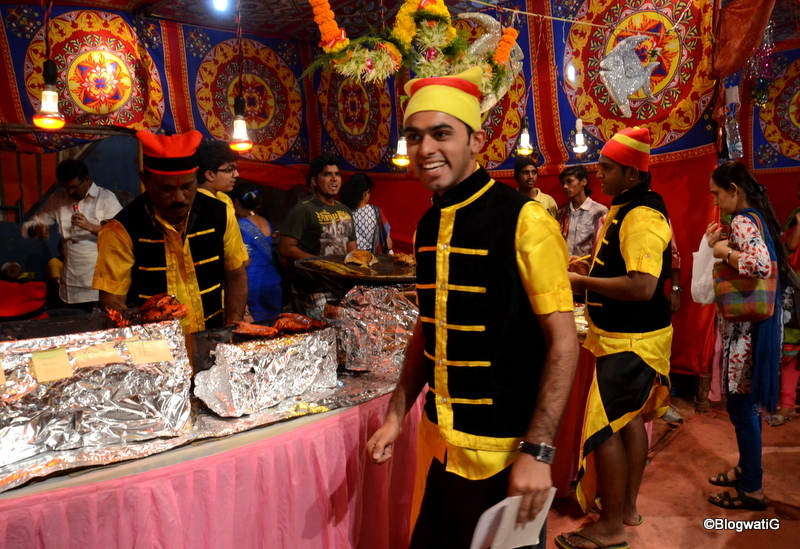 While you relish the sumptuous food (and drink), you are treated to live performances by local Koli talent. 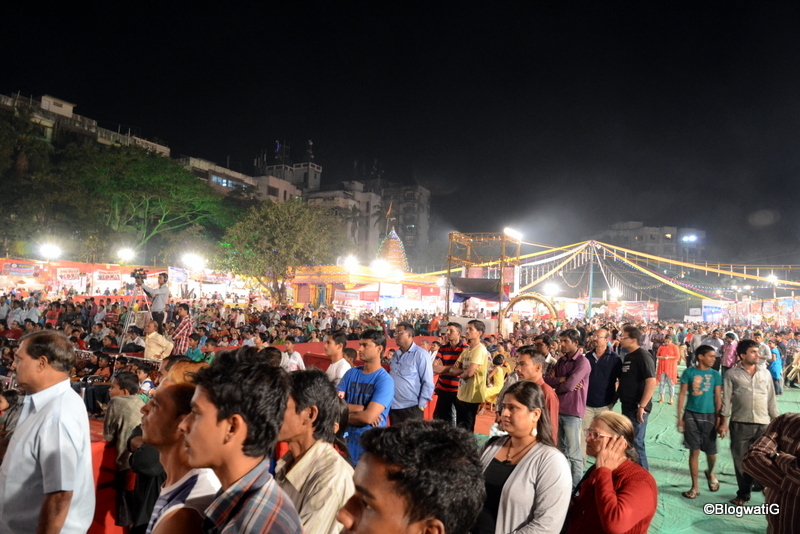 The crowds hum the favourite tunes, and the festivities go on way beyond the 10.00 pm deadline. Like I said, somethings are never questioned. After all, who will bell the cat? I knew you’d ask for more. Words can’t do justice like pictures can. So here goes. Enjoy the clicks. And book mark this post for next year. After all, you did miss the festival. You wouldn’t want an encore of that now, would you? 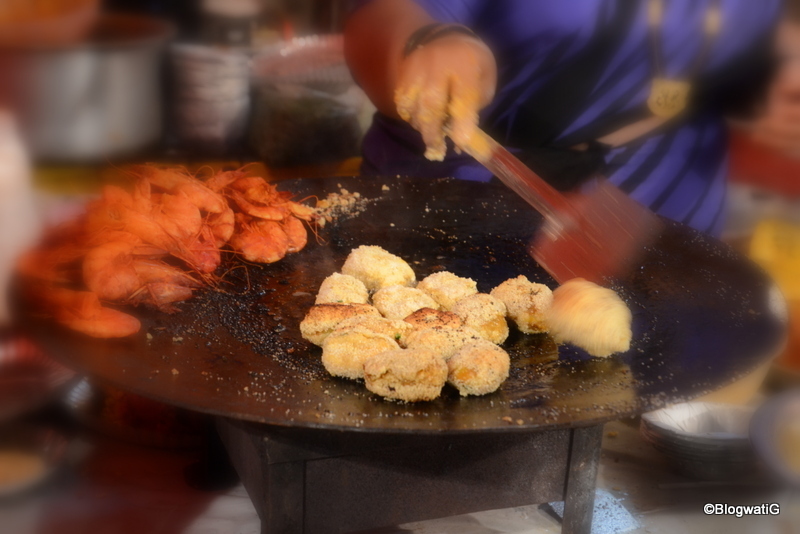 The pictures are as yummy as your descriptions, Vinita. 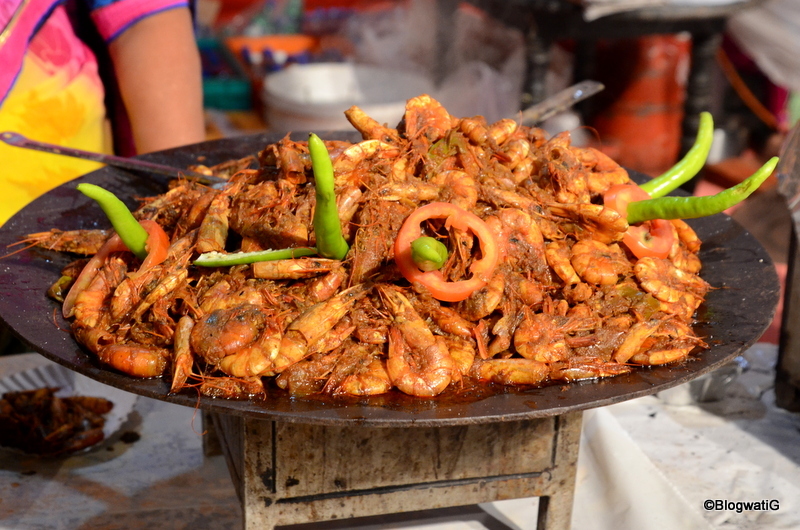 THis is indeed Koli sea food festival for dummies. If they don’t experience at least twice the number of footfalls next year, it will be because the roads are dug up and people can’t get there. 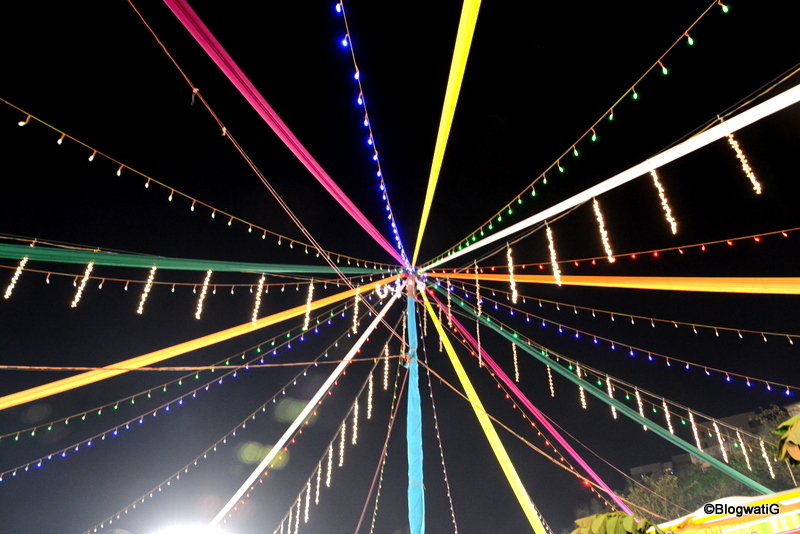 YOu have made the festival come alive. 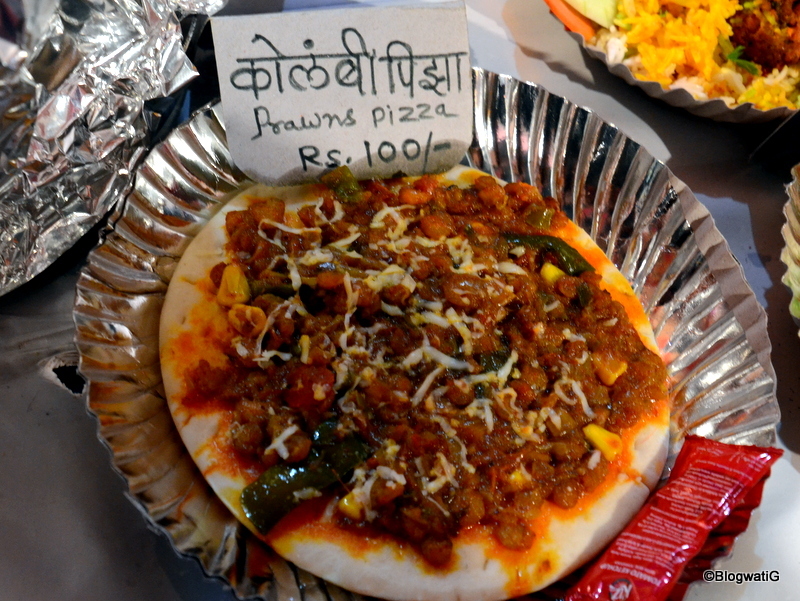 The prawn pizza looked really good, as did the Paplet fry and Bombil fry. I had no idea there was such a thing as Mushi bhurji. But it makes so much sense. Scrambling mushi and discarding those bones, which, by the way, I love to gnaw at. And to answer your question about how they got permission with a temple, church and school in close proximity, you’ve answered it yourself. See the picture that you’ve post directly below that question. Some things you just shut your eyes and nose to. Do I get some mushi bhurji as reward for the longest comment? blogwatig recently posted…Have you taken the #BrunchBookChallenge yet? Next year please take me along!!! « Are Online Games your Digital Destiny?